America's Dietitian....powered by ABCD Eat Right: Classroom party ideas solved! Check out these 10 ideas for a healthy classroom party. Cook.Eat.Be Healthy for the entire family! Classroom party ideas solved! Check out these 10 ideas for a healthy classroom party. I like a good theme when it comes to a classroom party. Last year we did a Frozen theme and this year we are going with a reindeer theme. I love themes but I also want to make sure that its not a sugar fest and that the kids, even though it might be minor, will learn a little bit about partying with healthy foods. Here are 10 healthy snack ideas that I came up with, some with a little influence from Pinterest, whose projects always seem to come out more perfect than mine but I still have fun being creative. 2. Don't forget about the penguin fruit masks. Wrap up whole pears (my seasonal favorite) apples and oranges. To download the free link click here. 3. Bananas with a message. The possibilities are endless when it comes to message writing on a banana. 4. Frozen "cocoa" or really just frozen low fat chocolate milk. 5. 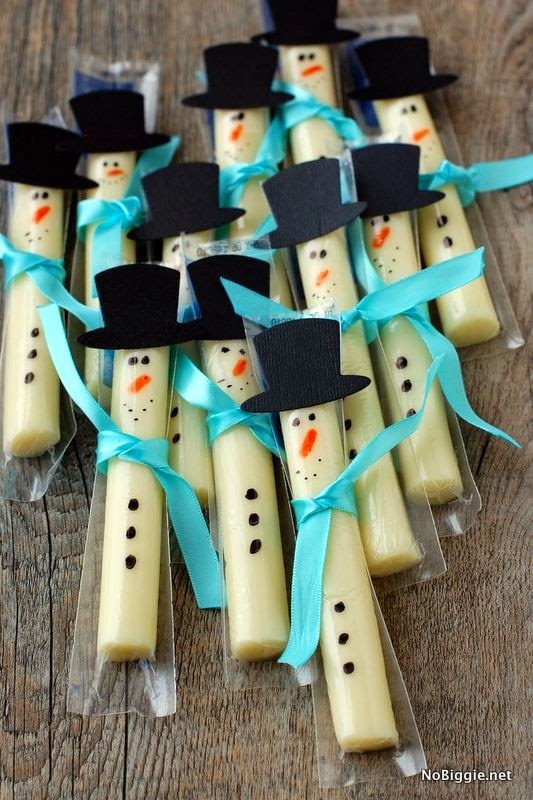 Cheese sticks (the original ones that I saw had snowmen drawn on them and they were wrapped with a little scarf). Mine were not photo worthy, but you get the point. 6. Popcorn "snow" . Draw a snowman face on a clear cup and presto you have a snowman. 8. "Do you want to build a snowman?" Trail mix. Give each child a bag of marshmallows, pretzel sticks, nuts, fruit rope cut in 3 pieces, chocolate chips and pumpkin seeds. Let them build there own and then munch on a healthy snack. 9. For the reindeer theme I love the idea of a reindeer food bar which is an easy way to make a trail mix. Trail mix ideas include: cheerios, pretzels, mini chocolate chips, dried cranberries, raisins, nuts and seeds. 10. 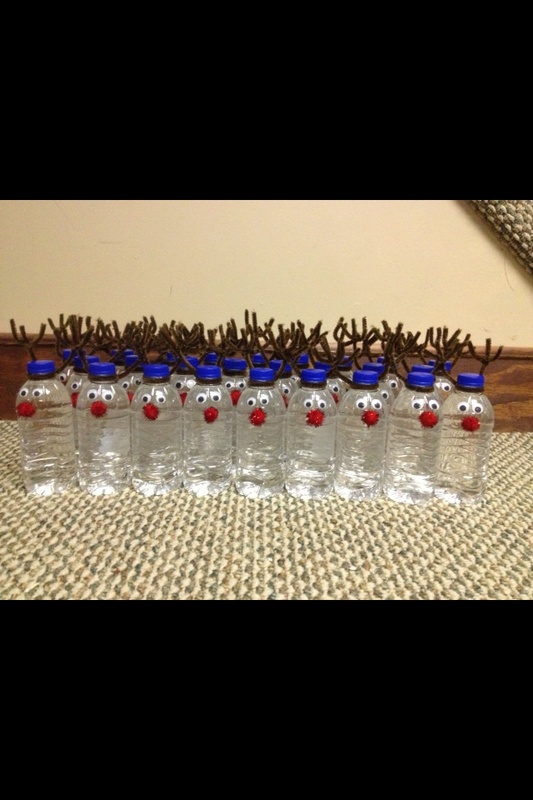 I also like the idea of making water bottles look like Rudolph. These pictures are from Pinterest so I will let you know how our festivities turn out. Have a great holiday! May it be Healthy and Bright! Classroom Halloween Party ideas. What is a fruit mask? Lucky for me these greens are good for me....and Magically Delicious! Are you NUTS about tailgating? October challenge...win a healthy plate for kids! Main website for products, printables and videos. Check out our page on Pinterest! 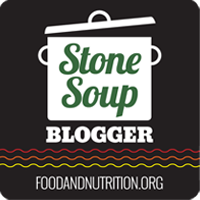 I'm a Stone Soup Blogger! I am a mom of 2 young children- Jackson (6) and Olivia (3). I have been a dietitian for over 11 years and now I help parents and schools bring the basics back into their homes and schools. I became the Ambassador of Boca Raton's Food Revolution Day in 2012. Join me in my fight against childhood diseases and misinformation! Copyright 2011. Simple theme. Theme images by Jason Morrow. Powered by Blogger.